A few years back, I used to believe that I’m not really a salad girl… It’s never my cup of tea! And even our Indian cuisine highlights the same ;) There’s no concept of fancy salad… Kachumber or chopped/sliced stuff is the only salad we grew up eating!!! Now coming back to Kale, I never knew it gets amazing smoky flavor once sauteed.. I more loved the crackling right after adding it to the pan.. and that beautiful aroma!!! Wash and trim kale leaves and thinly slice them. Heat olive oil in a pan and add kale leaves. Add salt, herbs and saute it for a couple of mins until you find smokiness on kale. Spread it onto an absorbent paper and let it get dried for 10 mins. Whisk all the ingredients of dressing together. 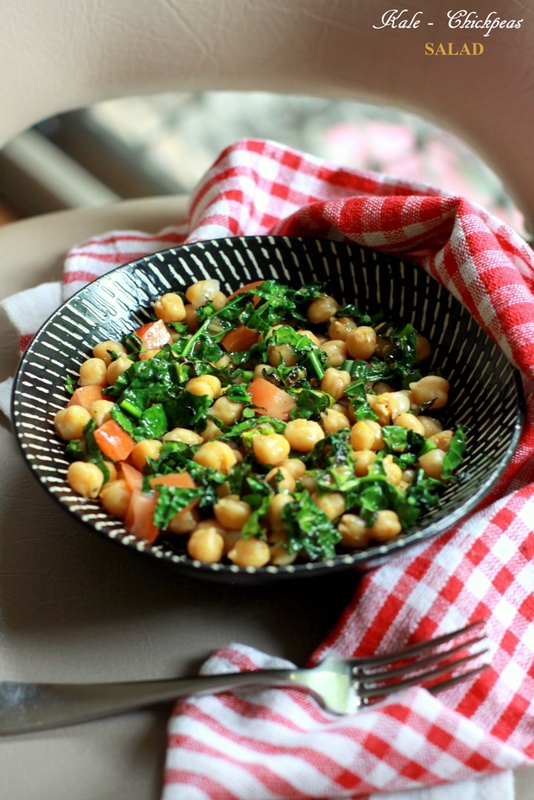 Mix chickpeas, kale and tomatoes in a bowl and pour the dressing over it. Toss quickly, put it in refrigerator and serve cold! You can cling wrap the bowl and keep it in refrigerator for a make-ahead plan! A happy salad! I am also not a salad person but I am exposed to it all the time and forcing myself to like it! 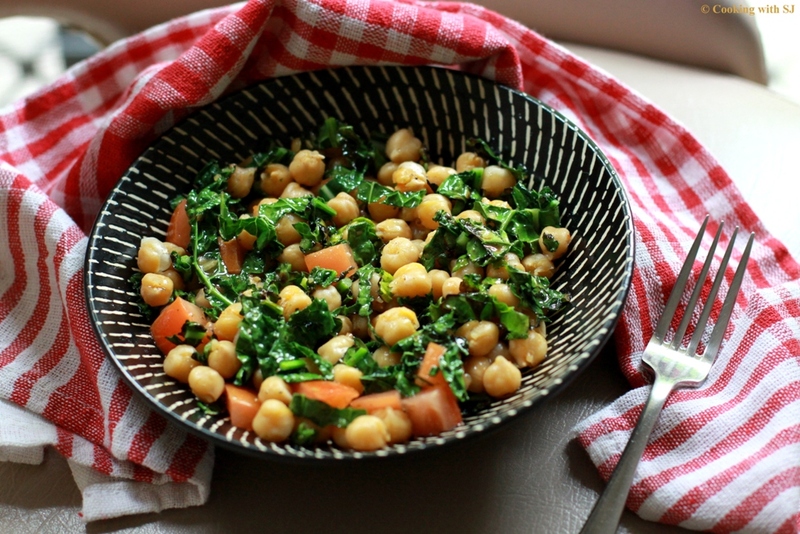 Love this – like you I have not always been big on salad, but this I would make!